In another sign that the competition between expensive virtual reality headsets will be waged as a platform war, ads for the PlayStation VR releases tied to the Batman Arkham and Resident Evil series indicate that they will be exclusive to Sony's VR offering for quite some time. 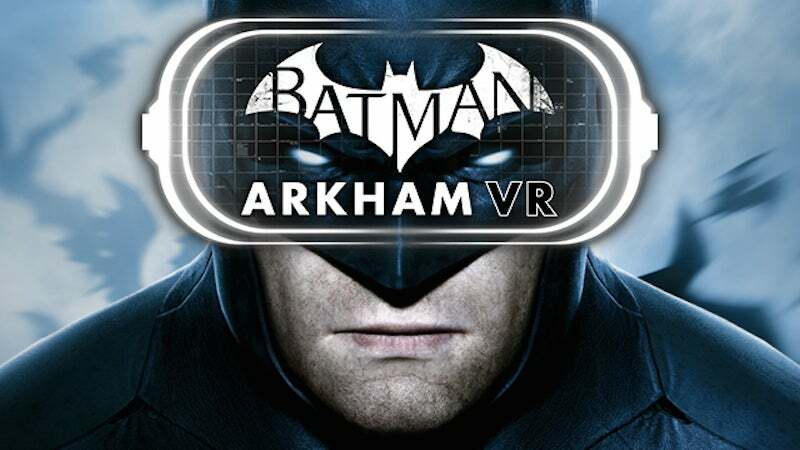 An ad for Arkham VR, which is a $US20 ($26) standalone game made by lead Arkham studio Rocksteady, complete with Mark Hamill reprising his role as the Joker, indicates that it is PSVR-only until the end of March 2017. 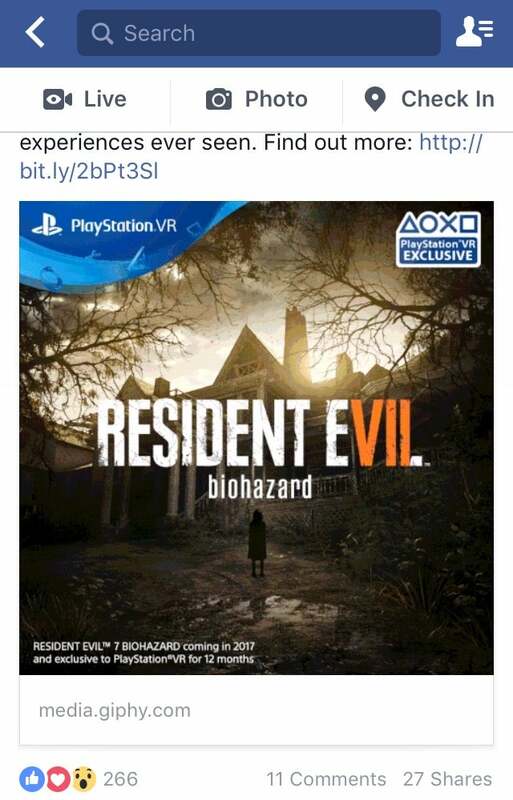 An ad for Resident Evil VR, which is an option to play the entirety of the upcoming Resident Evil 7 in virtual reality via PSVR, indicates that this option will be exclusive to Sony virtual reality for 12 months. RE7 comes out in January. Both ads appeared on PlayStation's Facebook page, according to a person who grabbed them and posted them to the NeoGAF forum. VR exclusivity has been a touchy subject given the $550-and-up expense of the Oculus Rift, Valve-backed Vive and PS VR headsets. VR games released to the Steam marketplace tend to work with Vive and the Rift, and many of them tend to be rougher-edged, early access indie games. 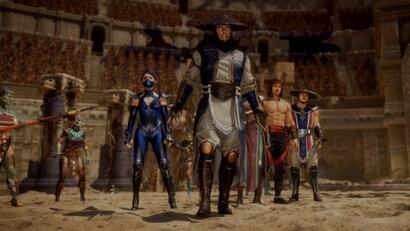 The Facebook-owned Oculus has also published and backed numerous bigger-budget VR games that are programmed to only run on the Rift. Sony's VR headset launches on October 13, and it will claim several releases not announced for either of the other two headsets, including games backed by major publishers who've yet to throw much or any support behind games for the other two headsets. EA, Activision, Warner Bros. and Capcom all have PSVR releases slated but nothing out yet for Rift or Vive. Ubisoft's upcoming VR games are announced for multiple VR devices. 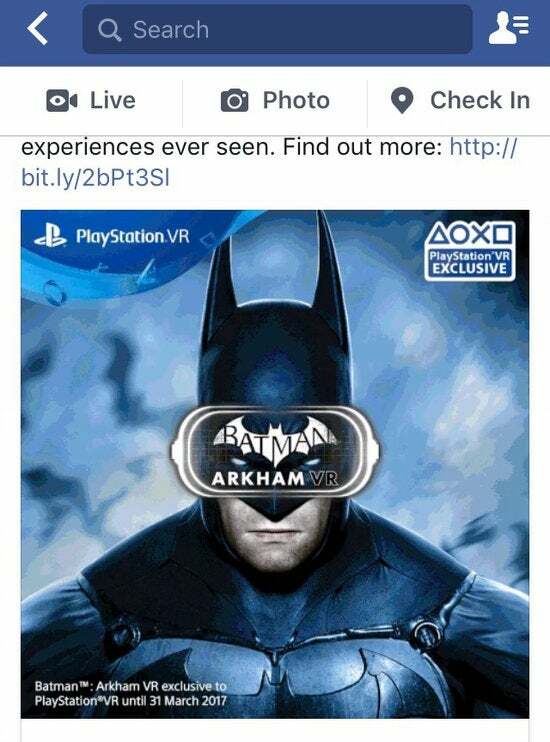 The Arkham and Resident Evil ads are an indicator of how long those releases will stick to Sony and reinforce the idea that if you get one VR headset you're in some way going to be cut off from being able to buy and play all the VR games available. We've reached out to the PR firms for both games as well as for other major PlayStation VR titles to clarify any further details about the games' exclusivity. We'll have full coverage of PS VR and its line-up in the coming weeks. What I find interesting is that Sony just bluntly expresses that they're timed exclusive and have an end date, whereas Microsoft needs a bit of prodding to even drop a clue. 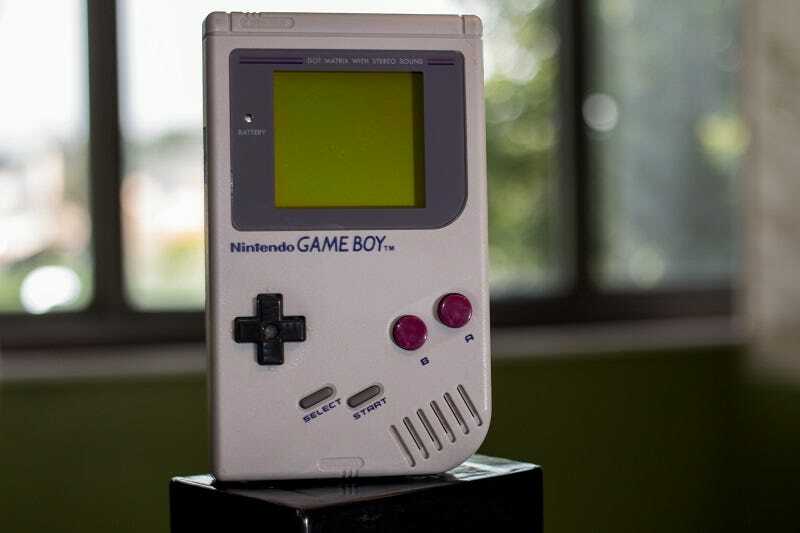 Timed Exclusives sound okay, its not like when Occulus tried to DRM everything they funded to their headset. Valve doesnt advertise or market their products and Occulus spends more money making Trump Memes than content at the moment... industry and media wise VR stalled too auickly after its first Generation release. VR is floundering at the moment and sad to say is that PSVR is the probably the best chance it has... manufacturing ,distibution and marketing wise Sony is a powerhouse, there were ll be demo stations in nearly every shopping centre in the world. People wont get to read about VR, they can get their hands on it at a store and go "Yes this is cool, take my money".